WEDNESDAY, Jan. 30, 2019 (HealthDay News) — The polar vortex that has enveloped much of the United States this week poses a special danger to people with Alzheimer’s disease and other types of dementia. 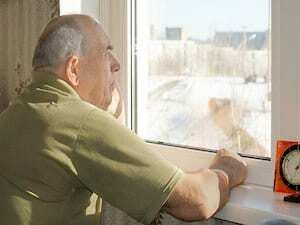 “This type of weather can be hazardous for everyone, but even more so for individuals living with Alzheimer’s disease, who may have difficulty noticing temperature and weather changes or knowing who to call for help,” said Charles Fuschillo Jr., CEO and president of the Alzheimer’s Foundation of America. “A few easy steps can go a long way to help family caregivers keep their loved one with Alzheimer’s disease safe,” he added in a foundation news release. It’s important for family members and caregivers to know the signs of hypothermia. Be alert for shivering, exhaustion, sleepiness, slurred speech, memory loss and clumsy motor skills, the foundation advised. Caution is needed when using electric space heaters. They can pose a fire risk, especially when used with extension cords or if they get knocked over. For Alzheimer’s or dementia patients, use space heaters that automatically turn off when they reach a set temperature or tip over, the foundation said. Don’t use electric blankets to keep people with Alzheimer’s or dementia warm, because the blankets could burn their skin without them realizing the blanket is too hot, the foundation noted. Snow and ice increase the risks of slips or falls, and people with Alzheimer’s or dementia may have vision problems that can make it harder for them to see ice or realize that a walkway is slippery. Keep outside stairs, walkways and driveways clear of snow and ice. Wandering is a common problem among people with Alzheimer’s or dementia, and that is especially dangerous in cold weather. Be sure to have an action plan in case your loved one wanders off, the foundation said. Know the contingency plans when storms or extreme weather may affect home care service. Ask your loved one’s home care provider about contingency plans to deliver services in such situations, the foundation said. Ensure the person with Alzheimer’s or dementia has enough food and water to see them through weather that might limit road travel. They should have easy access to flashlights (not candles), blankets and warm clothing, and their cellphones and tablets should be charged in case the power goes out. If your loved one doesn’t live nearby, try to find someone who lives closer who can check up on them before and after a storm. Inform those people of emergency contacts and where to find important medical information, including insurance cards, the foundation added.